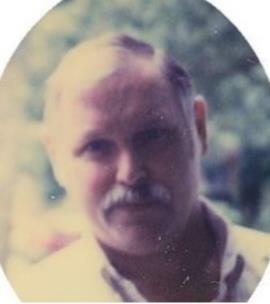 Lester George Mathis, Jr., 78, of Ringgold, Georgia, departed this life on Monday, January 14, 2019, at the Erlanger Medical Center. He was born on May 6, 1940, in Dalton, a son of the late Lester G. Mathis Sr. and Marie Barnes Mathis. He is survived by his son and daughter-in-law, Bobby and Jackie Mathis of Ringgold; daughter and son-in-law, Sandra and John Howard of Cartersville, Ga.; brothers and sisters-in-law, Curtis and Ann Mathis of Calhoun, Ga., Richard and Betty Mathis of Dalton, James Mathis of Rocky Face, Ga.; sister and brother-in-law, Elmarie and Edward Celatka of Dalton, Ga.; grandchildren, Brittany and Jeremy McNutt, Zachary Bishop, Thomas Bishop, Trevor Howard, Brent Parrish, Ryan Parrish; two great- grandchildren, nieces and nephews. At his request, he will be cremated and the family will have a memorial service at a later date. Arrangements are by locally-owned and operated Ponders Melrose Chapel, Dalton, Ga., 706 226-4002.